In 1973, English singer David Essex recorded a song called Rock On. It became a huge hit for him (topping the Canadian chart and going top 5 in the UK and the U.S.) It was featured on the soundtrack to the 1973 film That’ll Be the Day in which Essex starred. Rock On is still frequently played in high rotation on numerous classic rock and/or oldies music stations. In 1989, soap opera (Danny Romalotti on Young & the Restless) actor Michael Damian covered Essex’s song for the teen film Dream a Little Dream starring Corey Haim and Corey Feldman. Rock On was also used on his independent album Where Do We Go From Here. Rock On was Damian’s first hit in 8 years. His last previous hit had been in 1981 with a cover of Eric Carmen’s song She Did It. Rock On was certified Gold and topped the U.S. chart. What Maisie Knew was a 2012 American drama written by Carroll Cartwright and Nancy Doyne and is a modern adaptation of Henry James’ 1897 novel of the same name. What Maisie Knew starred Julianne Moore, Alexander Skarsgard, Joanna Vanderham, Steve Coogan and Onata Aprile. The plot: 6-year-old Maisie is trapped in the middle of a custody battle between her parents and their new partners. What Maisie Knew debuted at the 2012 Toronto International Film Festival (TIFF) and was soon purchased by Millennium Entertainment. Youngster Aprile won 2 awards for her work on the film (Outstanding Achievement — Acting from the Newport Beach Film Festival and Best Young Actress at the Women Film Critics Circle Awards). She came in second place for Best Actress at the Seattle International Film Festival. Cozy Powell, bassist Jimmy Bain and keyboardist Tony Carey rounded out the lineup. Rising was recorded in Munich in less than a month. Rising peaked at #11 in the UK and #48 in the U.S. It was certified Gold in 1979 in the UK. Kerrang! magazine has called Rising the greatest heavy metal album of all time. In 2011, a Deluxe Remastered Edition was released. This was certified Silver in the UK. 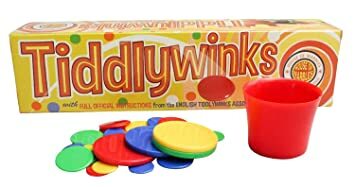 Tiddlywinks is a game played on a felt mat with four different colored sets of small discs (winks), a pot and squidgers (larger discs). The squidger is used to propel a wink into flight so it lands in your pot. The strategy of the game comes from your opponents trying to “squop” you by preventing you from landing in your pot by using their wink to land atop yours. Though at the heart of this game it may have started for kids, the defensive aspect described above has lent an air of appeal for adult competitive leagues. Tiddlywinks began as an adult parlor game in Victorian England. Joseph Asheton Fincher filed the original patent application for the game in 1888. It quickly became a popular fad during the 1890s. The modern game was established in the 1950s when a group of Cambridge University undergrads formed a Tiddlywinks Society. At one time in our lives (until 3 to 4 weeks of our embryonic development), humans have tails. After 4 weeks, the tail develops no further. 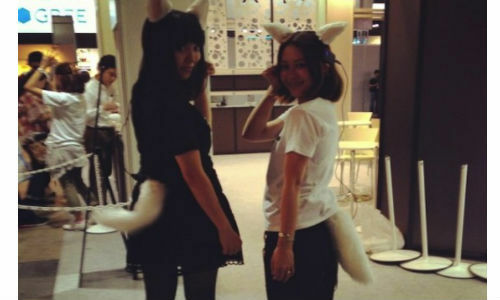 The Japanese, specifically a company called Neurowear, have decided to change that with the Shippo (Japanese for tail). The fuzzy tail even goes so far as to tell the world your mood. An EEG headset and a clip-on heart monitor are wired to the tail. Shippo also features geotagging and a smart phone sharing capability so fellow Shippo wearers can find each other on the street. We Gotta Get You a Woman reached number 20 in both the U.S. and Canada. In 1972, the Four Tops covered the song. We Gotta Get You a Woman was the only/debut single of the band Runt off their self-titled debut album. Runt consisted of Todd Rundgren, Hunt Sales and Tony Fox Sales. Many have regarded the album as Rundgren’s debut solo album possibly because Rundgren wrote and produced the entire album. Subsequent reissues credit Rundgren rather than Runt. Frederick Karl Pruetzel was born in New York City in 1954. He changed his last name to Prinze because he wanted to be known as the “Prince” of Comedy. He got his wish at age 19 when he performed on The Tonight Show with Johnny Carson. He had dropped out of high school to pursue comedy fulltime after discovering an affinity for it. A year later, in 1974 he was cast as Franciso “Chico” Rodriguez on the hit sitcom Chico and the Man. His catchphrase “Ees not my job!” catapulted into a full-fledged celebrity. In 1975, he released a full-length comedy album, Looking Good. In October 1975 Prinze married cocktail waitress Katherine Cochran. They had a son together, Freddie James Prinze (the actor Freddie Prinze Jr.) Unfortunately, his personal demons caught up with Prinze. A regular user (since age 16) of cocaine, the trappings of success intensified his use. Arrested for a DUI while under the influence of Quaaludes, Cochran sought a divorce. This only furthered Prinze’s downward spiral. On January 29, 1977, Prinze sat on his couch in his L.A. home, scribbled “I must end it” on a scrap of paper and shot himself in the head. He was 22 years old. Little kids love to count. They also love books with manipulatives (books that have tactile objects incorporated in). 10 Button Book is such a book. Folk artist William Accorsi penned the story and is presented on a double-thick board book using ten strong government safety-tested plastic buttons attached by ten strong colorful ribbons that are all bound to the spine. Introduced in 1969, Jello 1-2-3 was one mix that separated into three distinct textual layers. A creamy top sat atop a mousse-like middle that sat on top of a plain Jello bottom. 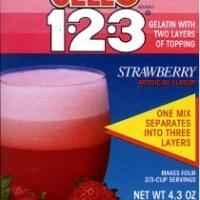 Jello 1-2-3 was discontinued in 1996. Day in Court was an American dramatized court show that ran from October 13, 1958 until February 1965. Airing five days a week, it presented viewers with as realistic as possible a look at how real trials are conducted and decided. Re-enactments of the defendants and witnesses were done by actors. The lawyers made their arguments in front of real judges. Judge Edgar Allan Jones Jr. (who had a real law degree and is pictured above) presided on Monday, Wednesday and Fridays. Actor William Gwinn presided on Tuesday and Thursdays. Day in Court was TV’s top ranked show. When it slipped to number two behind soap opera General Hospital, ABC decided to turn Day in Court into a soap opera. Jones quit the show in 1964. By the next February, ABC had pulled the plug on the show entirely. Day in Court had two spin-offs: Accused (which Jones also presided on) and Morning Court. Both these shows were also on ABC.